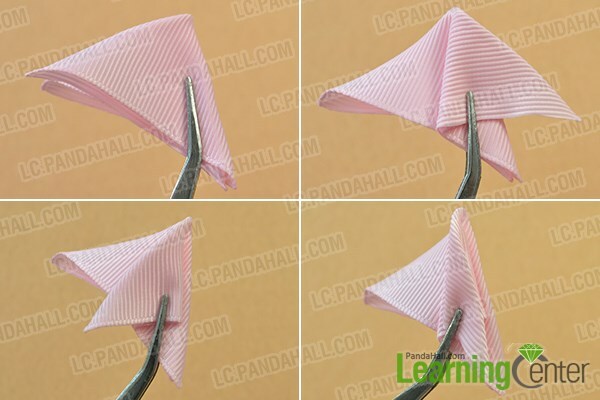 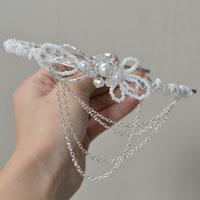 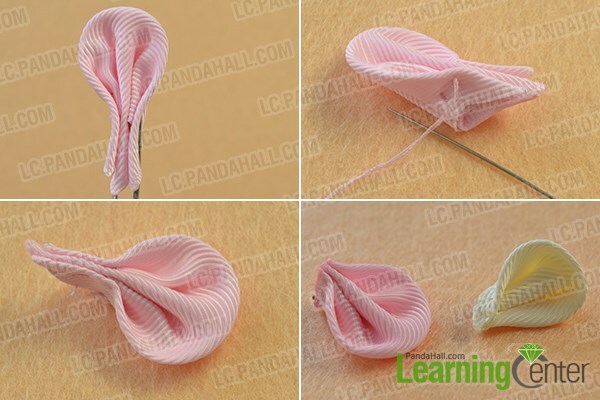 3d, fold the ribbon on the two sides back. 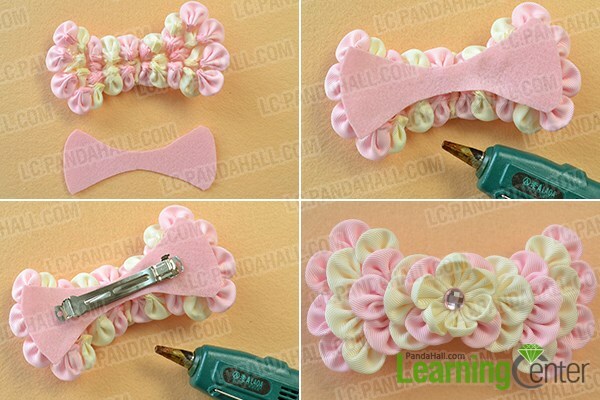 2nd, trim off the excess ribbon. 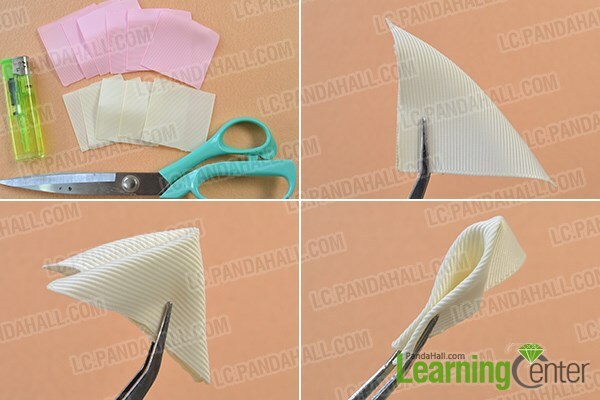 2nd, fold the ribbon on the two sides back. 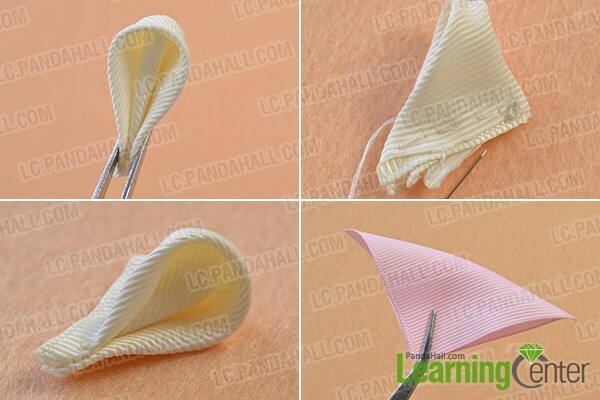 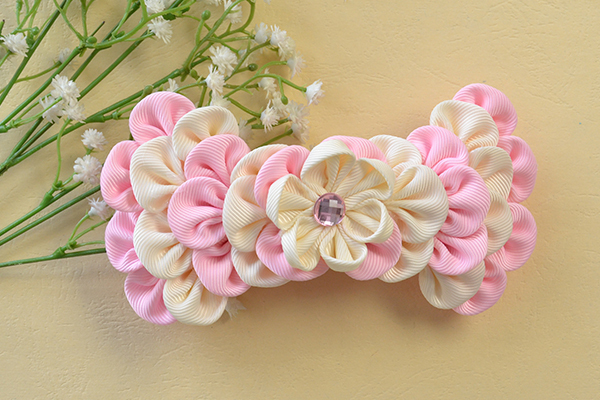 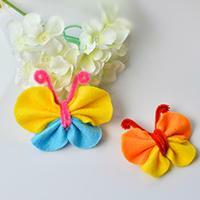 2nd, sew six light yellow ribbon petals together forming a flower shape. 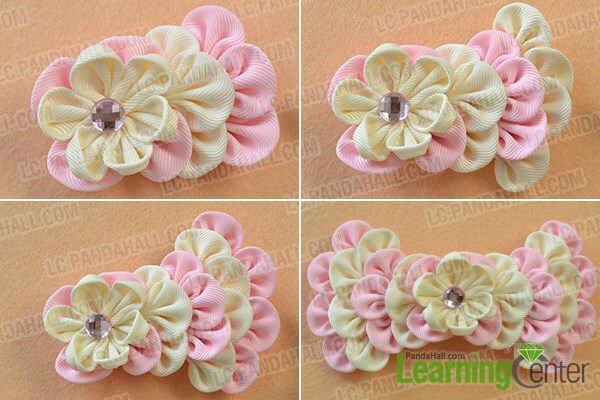 3rd, continue to paste three pieces of light yellow ribbon petals under the pink ones on the right side. 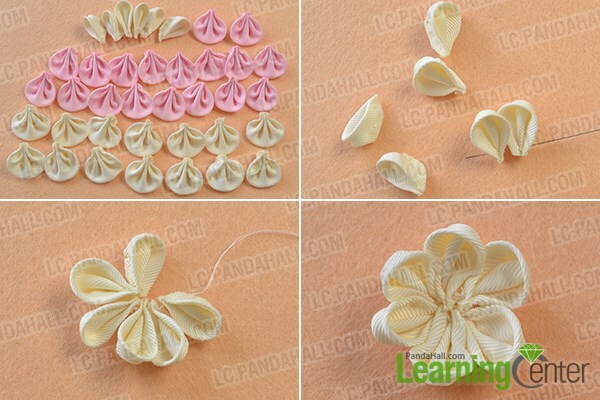 4th, add the ribbon petals on the left side in the same ways. 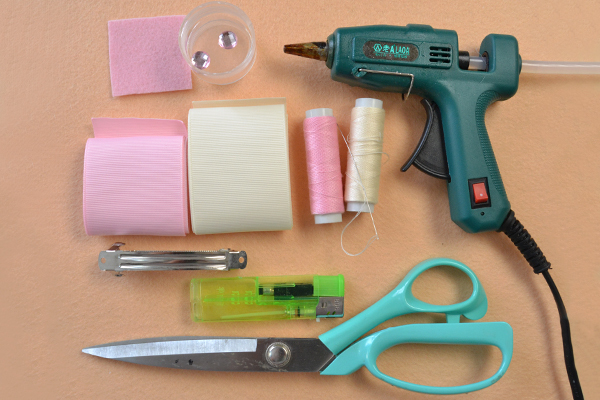 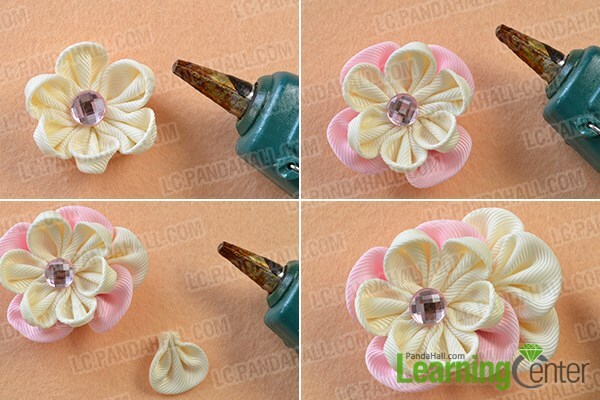 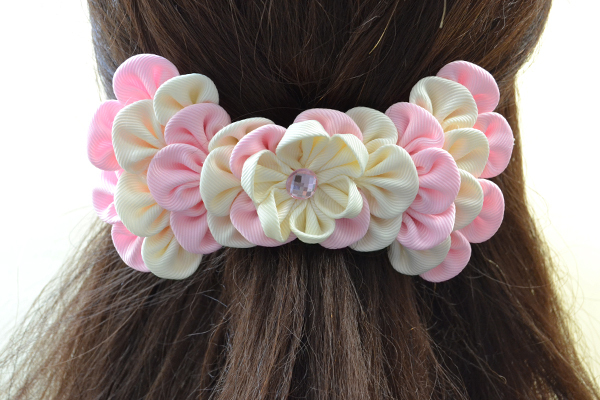 2nd, add the hair clip on the pink felt with glue gun.